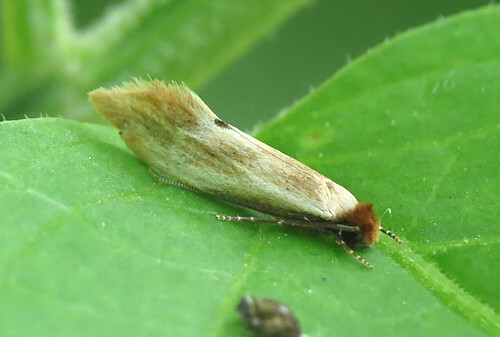 The never-ending Lepidoptera surprises continue to surprise at Tophill Low NR in East Yorkshire as the site’s fourth Denisia albimaculea was taken at light on June 23rd. Both a county and national rarity, it is considered to be Provisional Red Data Book 3 species due to its rarity. Two were taken at light on site in June 2014, with another near York a month later. 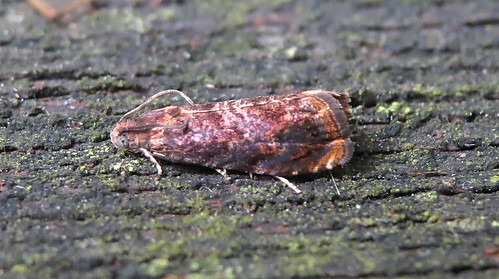 Prior to that, the species had not been recorded in Britain since one in Bedfordshire in 2011 – the same year the first individual appeared at Tophill Low, but despite searching, it is still a little unclear how many, if any, have been recorded and accepted nationally since. 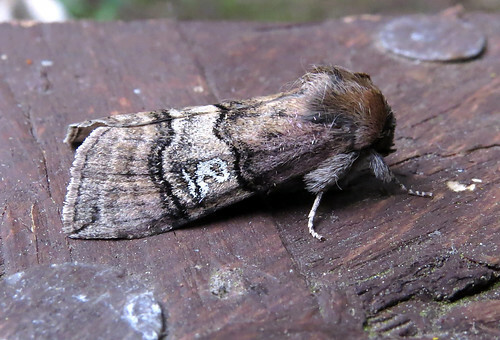 The Yorkshire Moths website, at the time of writing, currently lists only five records to the end of 2014. 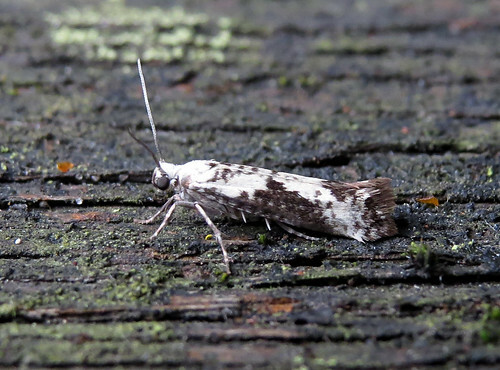 A Grapholita janthinana was collected on June 24th – only the second site record following one in 2013, while Tophill’s fifth Ash Bud Moth Prays fraxinella was found in the field on July 2nd. 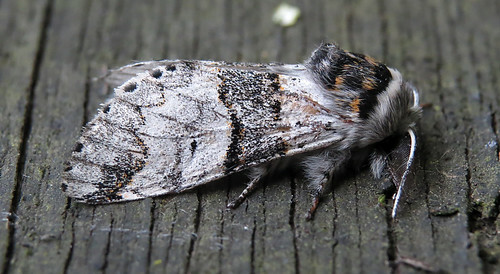 On the macro moth side of things, Poplar Kitten Furcula bifida is another site scarcity – Tophill’s third ever was trapped on June 20th. 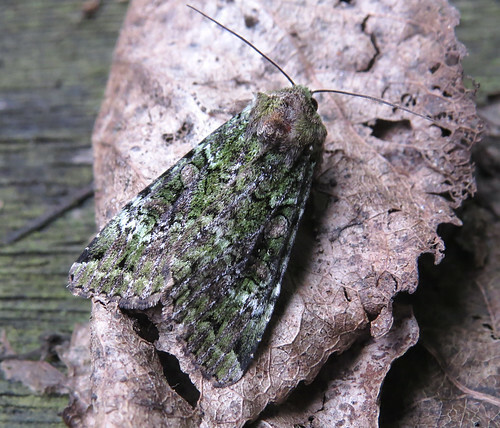 Only 13 Green Arches Anaplectoides prasina were trapped on site during the 1992-2015 period, but five individuals were taken a light over the period June 17-24th making it the best year on record for this species. 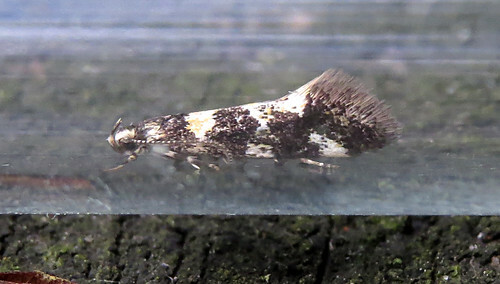 The best of the rest included several Tinea semifulvella, Thistle Ermine Myelois circumvoluta and Figure of Eighty Tethea ocularis, and early July saw the first Six-belted Clearwing Bembecia ichneumoniformis of the year recorded. 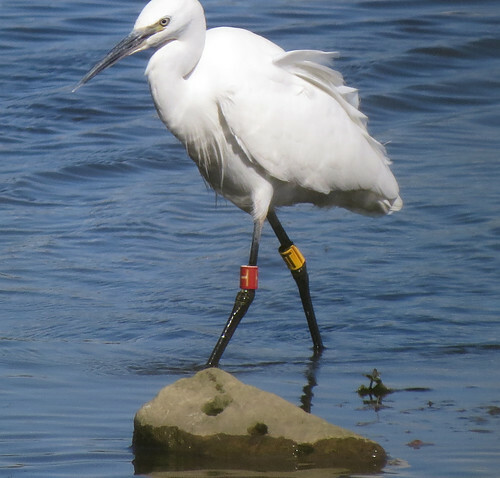 This Little Egret Egretta garzetta was on the southern marshes on June 21st and was present at North Cave Wetlands, East Yorkshire on July 2nd. Initial indications suggest it was ringed in Lincolnshire, but confirmation of this is still awaited. 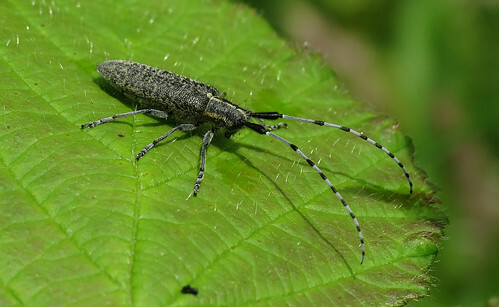 For the latest round-up of news from Tophill Low, check out the official site. 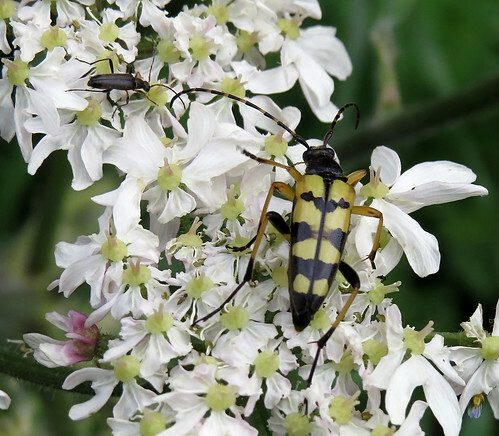 Three of the site’s five currently listed Cerambycidae are easy to see at this time of the year – the tiny Grammoptera ruficornis photographed alongside the much larger Black and Yellow Longhorn Rutpela maculata above and the striking Golden-bloomed Grey Longhorn Agapanthia villosoviridescens below. 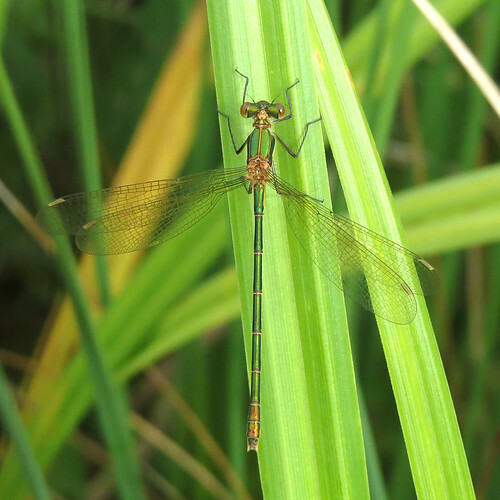 Emerald Damselfly Lestes sponsa, Southern Hawker Aeshna cyanea and Ruddy Darter Sympetrum sanguineum are the latest species to appear on the wing, with occasional Emperor Dragonfly Anax imperator also patrolling the waterbodies.